The VSi60 clearly proves that you do not have to spend a fortune to enjoy truly great sound at home. Built by hand in Plymouth, Minnesota, to the same exacting standards as our renowned Reference series, the VSi60 offers remarkable sound quality and value. Its rated output of 50 watts per channel does not convey the VSi60's ability to drive power-hungry, low-impedance loudspeakers. We designed the VSi60 with the finest full-range speakers, not compact monitors. 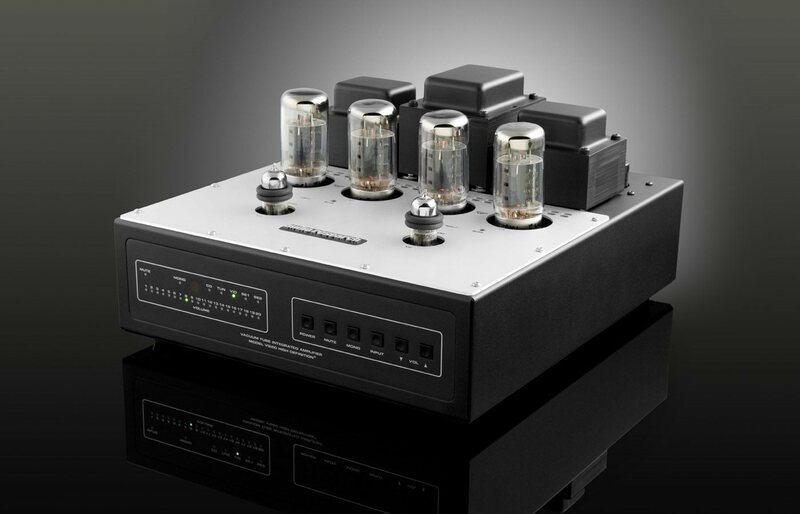 Dynamics are lifelike with a sense of ease normally associated with larger amplifiers. Yes, its resolving power is surprising, allowing you to hear details that were previously hidden in your recordings, but that resolution is in service of the music — grainless, tonally accurate and refined. Physically, the VSi60 is 14" W x 8" H x 16" D, with a milled, anodized natural top plate with an inset Audio Research logo. On the front there are function and volume LEDs on the left, and soft touch buttons on the right mimicking the layout of our SP17 preamp. The display is available with either a black or a silver finish. The supplied remote controls all functions including power, muting, stereo/mono, input select, and volume up/down. 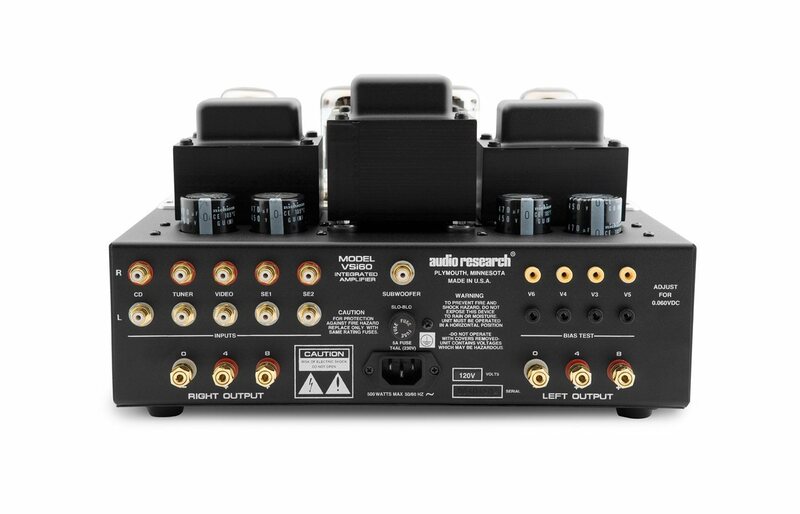 The rear of the chassis has five pairs of single-ended inputs labeled CD, Tuner, Video, SE1 and SE2; a (full-range) mono subwoofer output; voltmeter test points for setting bias; 0-4-8 ohm, gold plated brass five-way binding posts, and a very high quality detachable line cord. An optional perforated cage-type top cover, specific to the VS60/VSi60, is available at extra cost. The control section of the VSi60 is passive, utilizing microprocessor-controlled relays. The high performance input relay paths are especially short, the same as those in Reference preamplifiers. The microprocessor control remembers the last input selected and the stereo/mono setting when the unit is powered down. Upon turn-on there is an automatic 30-second warm-up mute, with the volume control reset to zero to avoid possible unwanted surprises. The active circuitry is essentially that of the VS60, but with more gain for greater sensitivity. The preamplifier and amplifier sections cannot be separated. The VSi60 has a new JFET input stage for low noise, with 6H30 driver tubes. 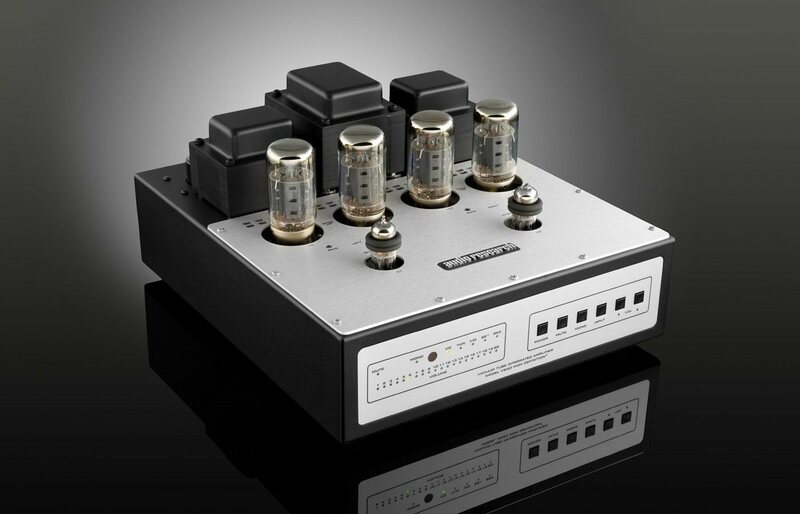 The KT120 output tube is used, the same as our other vacuum tube amplifiers. Build quality is typical Audio Research, utilizing thick traces on heavy, plated-through circuit boards, the finest audiophile-grade parts, proprietary litz internal wires, and the VSi60 is completely hand-soldered, assembled, tested and packed by craftspeople in our own facility. No production shortcuts have been taken. We are very proud of the VSi60 because we feel it provides the finest performance available anywhere near its price. 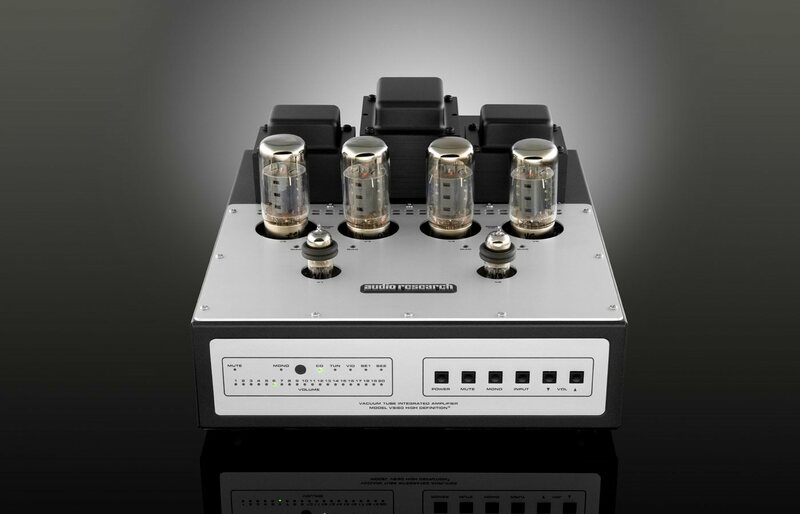 Please contact your nearest Audio Research dealer to audition this affordable new integrated vacuum-tube amplifier. 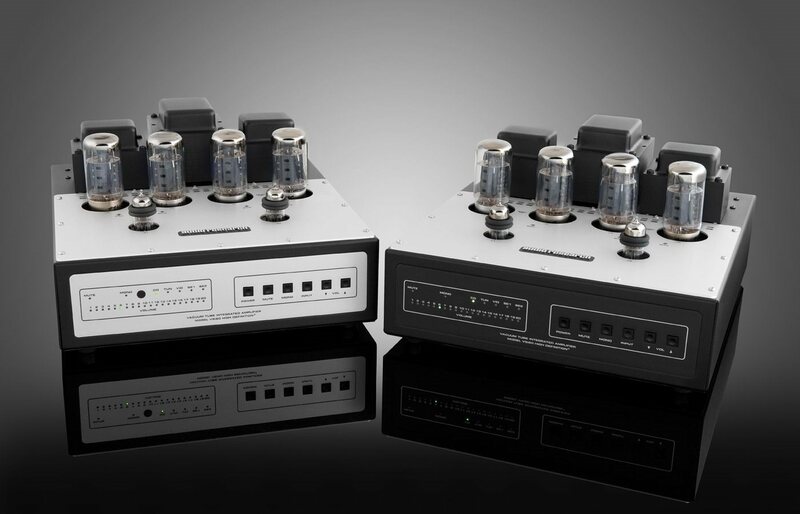 POWER OUTPUT 50 watts per channel continuous from 20Hz to 20kHz. 1kHz total harmonic distortion typically 1.5% at 50 watts, .05% at 1 watt. INPUT IMPEDANCE 50K ohms Single-ended. INPUTS (5) CD, Tuner, Video, SE1, SE2 (Single Ended RCA connectors). MAXIMUM INPUT 3.5V RMS (any input). OUTPUT POLARITY Non-Inverting (any input). PUSH BUTTONS Volume up, volume down. (103 steps, 20 LED indicators), Input, Mono, Mute, Power. All functions on IR remote control. OUTPUT TAPS 8 ohms, 4 ohms. MONO SUBWOOFER OUTPUT 1V RMS at rated power. HUM AND NOISE Less thatn 0.1mV RMS — 106dB beow rated output (IHF weighted, Vol down). POWER SUPPLIES Electronically regulated Low and High voltage supplies for input stages. Automatic 30 sec. warm-up/brown-out mute. POWER SUPPLY ENERGY STORAGE Approximately 166 joules. POWER REQUIREMENTS 100-125VAC 60 Hz (200-250VAC 50Hz) 300 watts at rated output, 500 watts maximum, 200 watts at "idle". TUBES REQUIRED 2 - Matched pair KT120. Power Output 2-6H30 driver. DIMENSIONS 14" (35.6 cm) W x 8" (20.3 cm) H x 16"(40.6 cm) D. Rear connectors extend .88" beyond chassis. WEIGHT 34.8 lbs. (15.8 kg) Net; 38.3 lbs. (17.4 kg) Shipping.